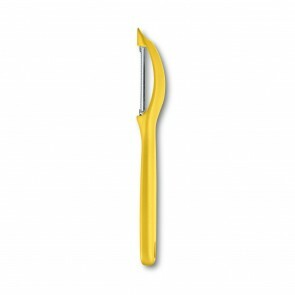 The peeler is a kitchen utensil used to peel fruits and vegetables such as potatoes, zucchini, apples, pears, oranges, or rather in fact all vegetables or fruits that have a skin that will be called peel when peeled. 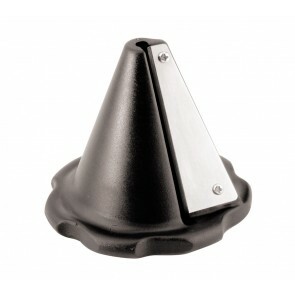 This small hardware is now an integral part of the professional cookware as much as the mandoline, paring knife and other professional knives and cutlery items used by chefs (chopper, slicer, fillet of sole, boning, etc.). Prior to its advent vegetable peeling was done simply with a kitchen knife. However, this required a lot of patience and dexterity! Sometimes it also caused a significant loss of material of some vegetables ... which led to the invention of this kitchen gadget! 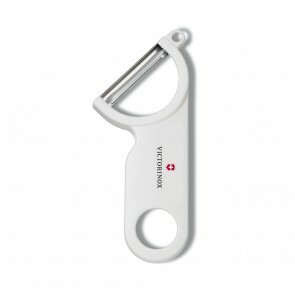 Why use a vegetable peeler, julienne peeler or potato peeler for your culinary preparation? In addition to saving time and material, the peeler provides safety of use unlike conventional knives! 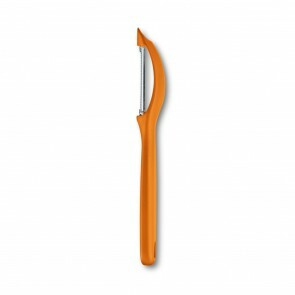 Equipped with a ergonomic handle for an easy grip, this economical peeler can be used in the professional kitchen as well as in any kitchen! 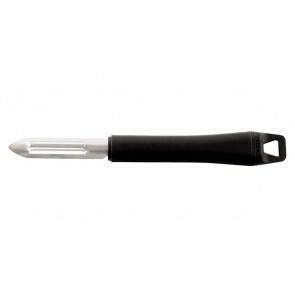 Widely made in ceramic or stainless steel, this kitchen tool has a double blade, but you can use it simultaneously with kitchen knives for a better cutting results! Thus, the bursar is therefore a main ally if you want to run a quick peeling result. 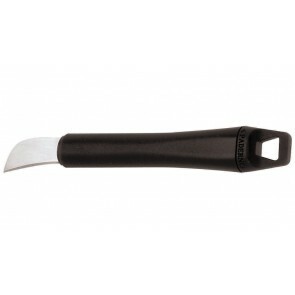 Nowadays, there are many other models original peelers each having a particular use. In addition to the common peeler, you have the swivel peeler, asparagus peeler, the Y peeler, the orange knife, the chestnut peeler or the tomato peeler. 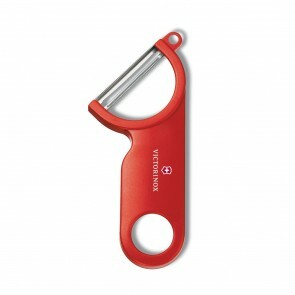 The most famous fruit peeler is certainly the apple peeler that allows you to remove the skin of an apple in two easy steps: a must own tool to make delicately crafted apple pies! To prune your vegetables in a flower shape and for a lovely decor, opt for the vegetable pencil. You also have several peeler sizes (including 13cm, 20cm, even 24cm)! 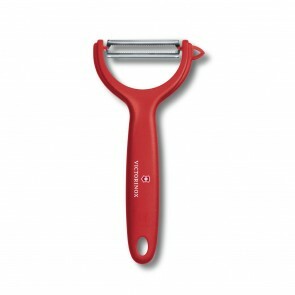 As a general rule, choose a peeler that fits easily in your hand. 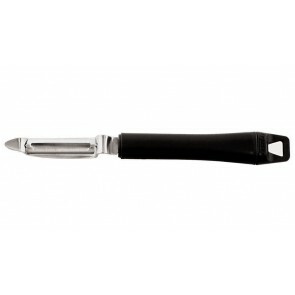 Stainless steel blade or ceramic blade, it will still be safe enough to use it. Looking for a home or professional sturdy peeler discover references such as Victorinox, Paderno, Louis Tellier, Bodum peelers among others. 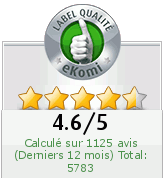 Find a range of economical apple peelers, knife sets and other professional kitchen knives and cutting accessories such as cutting board, sharpening stone or steel, kitchen scissors, swiss army knives, spiralizer, knife block, chef's knives, japanese knives or even meat, fish or cheese knives among many others.